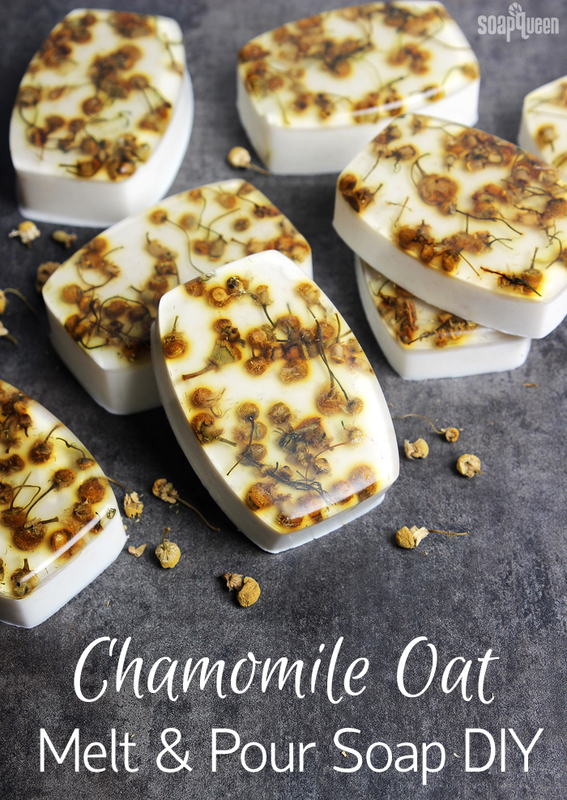 Chamomile is one of my favorite herbs to incorporate in bath and beauty products. 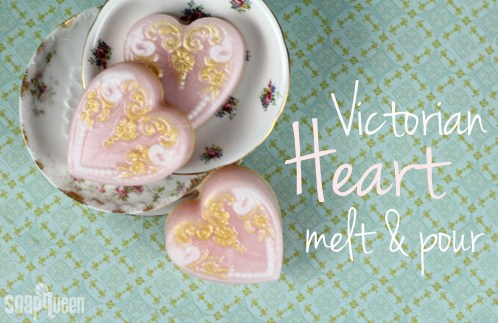 It smells amazing, looks appealing and is known for its soothing properties. For these Chamomile Oat Bars, I added chamomile extract to Stephenson Oatmeal and Shea Melt and Pour to create a super luxurious bar. 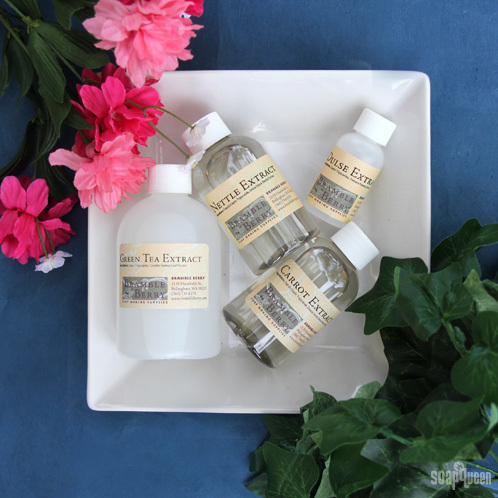 Chamomile Bergamot Fragrance Oil gives a fresh and relaxing scent. 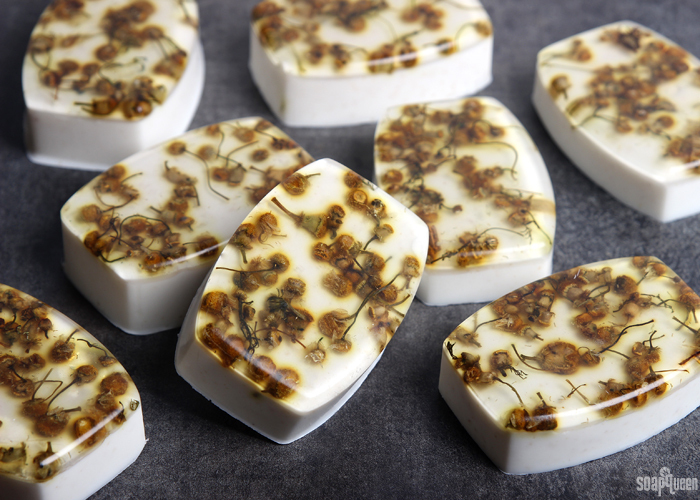 To embed the chamomile herbs into the bar, I placed the herbs into each cavity and covered them with a thin layer of Stephenson Ultra Clear Soap Base. This base is incredibly clear, which makes it perfect for embedding and layering. The chamomile herb does bleed in the soap slightly and may increase over time. I think they still look beautiful, even with bleeding. They can also discolor brown over time.